Be my Valentine…?13th February… | Retired? No one told me! Valentine’s day today is not quite so bloody it is more hearts and flowers. Who still gets taken out on Valentine’s Day?? For starters, if it is chilly where you live or because you love soup then a lovely bowl of tomato soup with heart-shaped croutons is just the thing. Or do a lovely heart-shaped swirl with some soured cream which would look very pretty. If you are seafood lovers then a lovely seafood platter is easy to do and looks quite spectacular. Some smoked salmon, a few plump mussels, lovely grilled prawns, soft squid there is so much lovely seafood to choose from just a little of each arranged on a platter with maybe a nice drizzle of seafood sauce or a chilli sauce. This chicken dish is one we make often and it is quick and easy and served with rice or potatoes and some lightly steamed vegetables it is very nice. Lemon Chicken with caper sauce. • 2 tbsp chopped parsley. • 1/4 cup lemon juice. • 1/2 pint chicken stock. • 5 tbsp Olive Oil. Season the chicken with salt and pepper. Dredge chicken in flour and shake off excess flour. In a large skillet over medium high heat add 3 tbsp olive oil. When the oil starts to sizzle, add 2 pieces of chicken and cook for 3 minutes. When the chicken is browned, flip and cook the other side for 3 minutes. Remove and transfer to plate. Add another 2 tablespoons olive oil. When oil starts to sizzle, add the other 2 pieces of chicken and brown both sides in the same manner. Remove pan from heat and add chicken to the plate, set to one side. Into the pan add the lemon juice, stock, capers and garlic. Return to stove and bring to boil, scraping up brown bits from the pan for extra flavour. Check for seasoning and add lemon slices and parsley. Return all the chicken to the pan and simmer for 5/10 minutes depending on the size of breasts. Remove chicken to a platter. Add 2 tablespoons butter to sauce and whisk vigorously. Pour sauce over chicken and garnish with parsley. Serve with boiled rice or potatoes of your choice and steamed broccoli and cauliflower. Or a lovely strawberry mimosa…Just blend 2 cups of strawberries with half a cup of water and then strain through a sieve. Chill. What will you be making or does your other half cook??? This entry was posted in Authentic recipes, Strawberries, Uncategorized, Valentines cocktails, Valentines Day and tagged Lemon Chicken, Recipes, Strawberries, Valentines Day on February 12, 2019 by CarolCooks2. 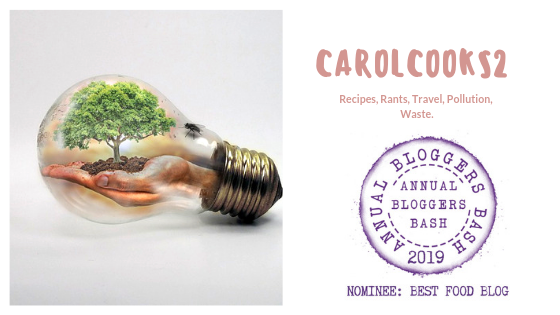 Pingback: CarolCooks2…Weekly Roundup…The sourdough saga continues… | Retired? No one told me! Great post and recipes, Carol. Happy Valentine’s Day!